May Anniversary Kit Reveal and Blog Hop!! thank all our subscribers and members for sharing their pages and creations with us!! featuring the amazingly gorgeous Prima Divine !! as our May Guest Designer!!! My name is Gabrielle Pollacco, I'm a mom of 2 sweet girls, happily married to my husband Steve and we have one big fluffy Labradoodle named Zoe, that sometimes makes her way into our family photos! I've had the privilege of being a Guest Designer for Scrap That in the past year and was delighted to come back to scrap with this year's Anniversary kit! Some of you may know me online as "Kelly Creates." I am a Canadian scrapbooker living in Edmonton, Alberta. 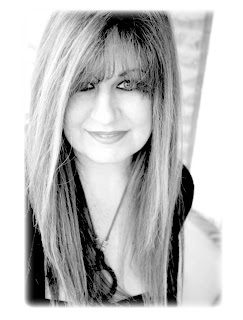 I'm excited about sharing my designs and techniques with you through my video tutorials!" And what a spring it is! We wanted a very special anniversary kit and this kit is packed with so many fresh and lovely goodies featuring Prima's Divine Collection. 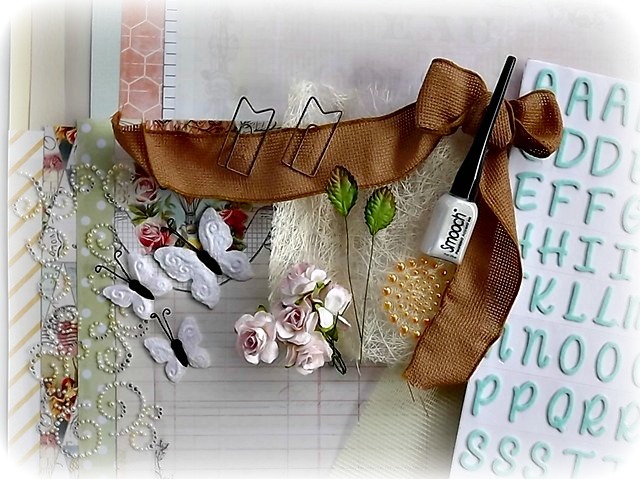 There are fabulous textures and soft bling to bring out your creativity! Featuring my niece,Vivien in her first princess crown. Yes, it's on backwards but with that smile,we'll just let it pass.. 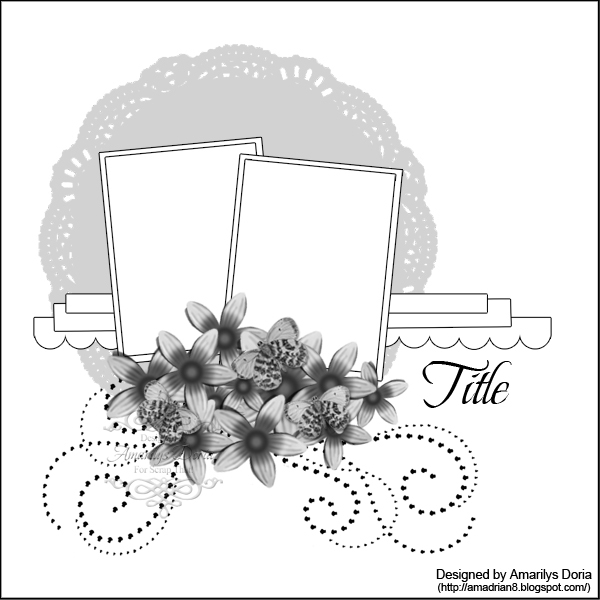 I made the paper roses with my Spellbinder die and the pretty Smooch that comes with the main kit. 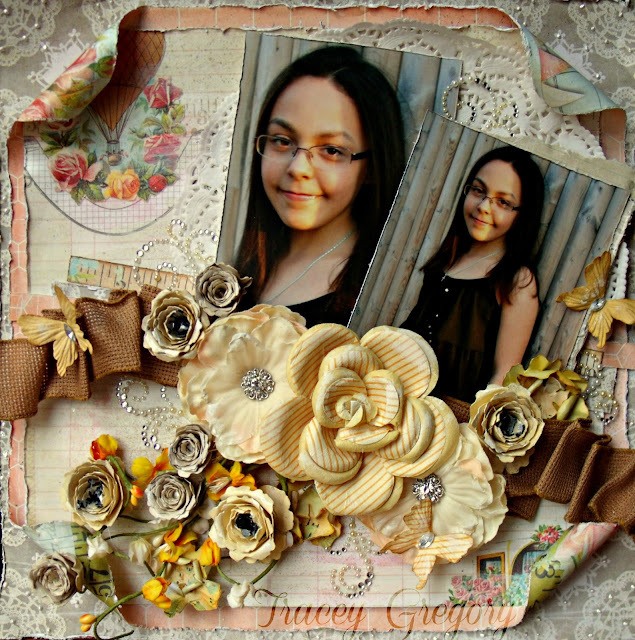 These are older pics of my daughter that I have been waiting for the right papers..I love how the sunshine highlights her face and these sunny papers and blooms were perfect! We have a Round Robin Challenge to celebrate National Scrapbooking Day this month as well hosted by me! It looks like it will be a blast! As soon as I saw these papers,I remembered this pic of Naomi wearing this favorite outfit. Perfect match,right? 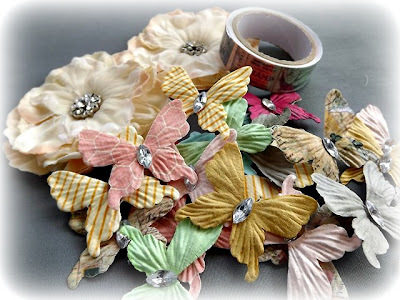 I made the flowers with Prima papers as well and the ribbon is from my stash. All entries for both challenges are due by Wednesday, May 29. 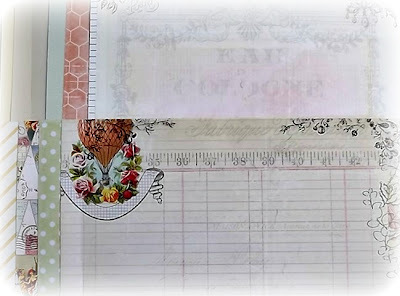 * Visit each blog listed on the hop to see what each designer has created using this month's kit and sketch (comments are very much appreciated). * Post the ScrapThat! Blinkie on your blog. * For your last stop on our Blog Hop return to the ScrapThat! Chat Blog. The Blog Hop ends Sunday, April 28 at Midnight EST. 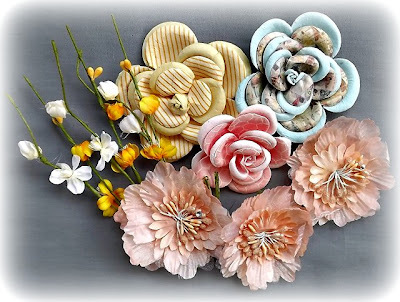 Beautiful blog and gorgeous creations. so glad I decided to take part in the Scrap That blog hop! Gorgeous layouts! I love all the layers of texture and color! Tracey you always do such wonderful layouts! Fabulous! beautiful layouts Tracey! love your handmade flowers! I love ALL the photos you scrapped! And your designs suit this paper collection perfectly! You have given me some wonderful layout ideas!! Love that photo of your niece...awesome!! Love the way you use the different components of the kit. Each and every one is so gorgeous Tracey! You rocked this kit! 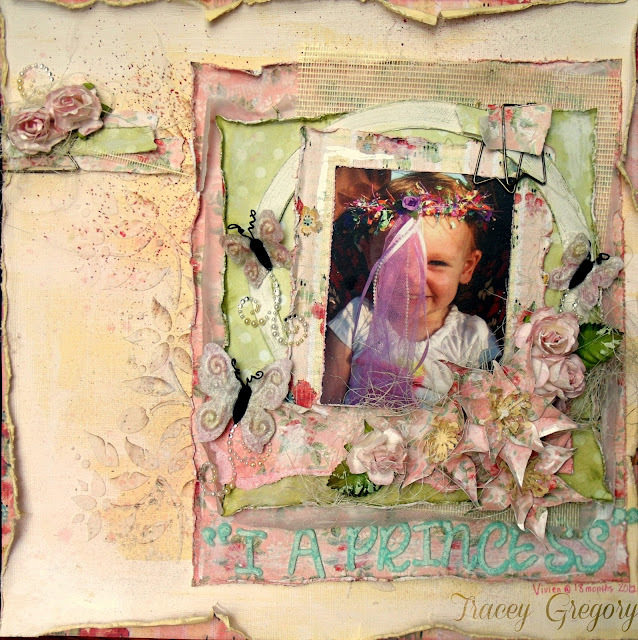 Gorgeous work with the kit, Tracey!! Oh your layouts are darling! Love the little princess in the second one such pretty girls. You did an amazing job with this kit! TFS! Wow such gorgeous and adorable work. Already following your blog. TFS! Time to hop on. This is such a beautiful page. The sweet roses, and that very sweet smiling face are a perfect match. Just lovely Tracey! Gorgeous pictures too. I love all of your wonderful layers. Your layout is just gorgeous! Thanks so much for sharing this in our challenge this week. It's just amazing. What great colours in this kit and you chose beautiful pics to match them! 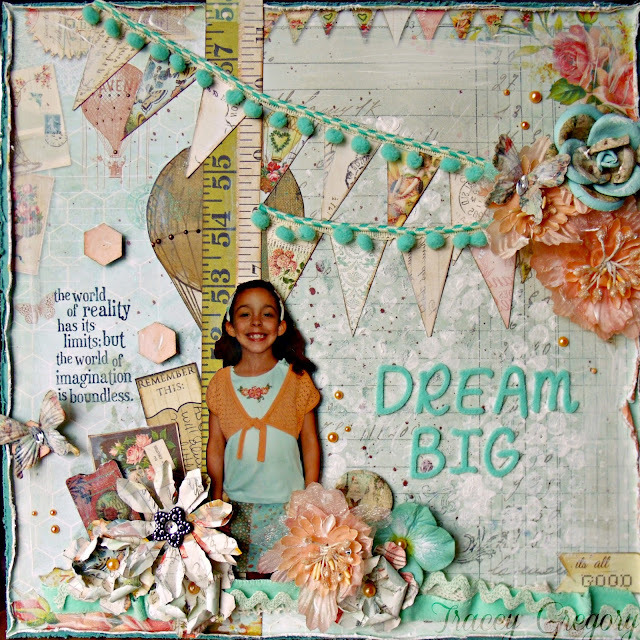 Gorgeous layouts Tracey! The kit looks amazing and you've done a wonderful job on the sketch! What beautiful work, Tracey! So so so gorgeous! Great take on nanne's sketch and with the kit! Wow, Tracey, these are gorgeous!!! 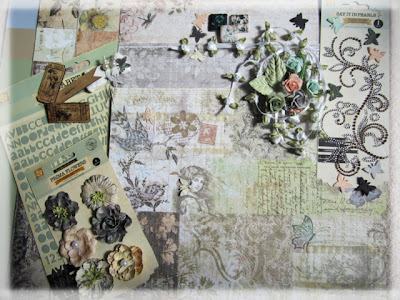 Absolutely love the distressed layers and textures/embellies!!! Love the photo of your little niece in her princess outfit... Too cute!!! Hope you have a great day!!! Hugs!! !